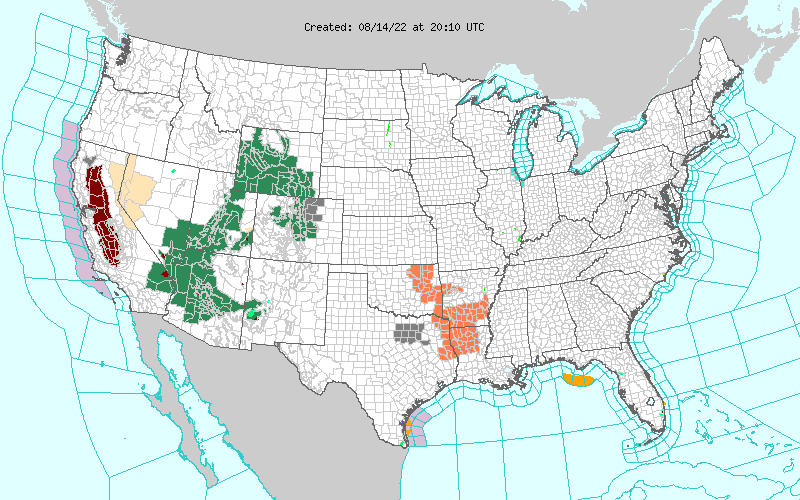 The NWS National Weather Hazards map shows all active watches and warnings for the US. This includes tonado, hurricane, winter weather, flood, and all other products issued by the NWS. Simply click on the map on the NWS site to find local information.